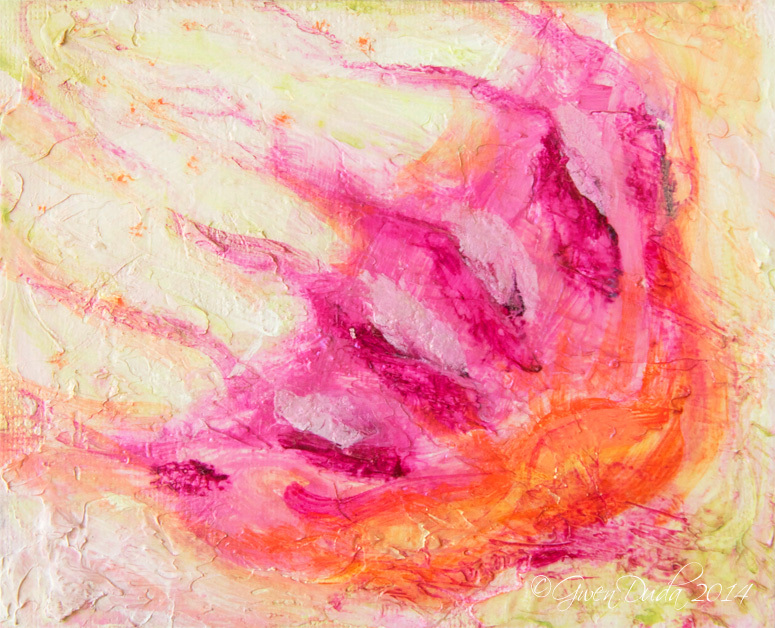 In hues or orchid, violet, light green and tangerine this is a special little painting, 4" x 5" in size but big on colour and form. There is an ethereal quality to this image because of the methods employed to construct it. Done in archival professional artist's grade acrylics on panel board.